My Directorial debut was an exhilarating experience. Once again participating in the 48 Hour Film Project, I felt a little more prepared this time around. I had ideas in my head that I wanted to pursue; depending on what genre I pulled out of the hat. Right at 7:00 p.m. all the team leaders lined up to pull our assigned genres. After we pulled our genre we had to wait for everyone else to pull theirs and then we were given the required line of dialogue, the required character, and the required prop. There were genres that I was praying I didn’t get. I did not want western, musical or comedy. My team and I decided we could handle any of the other twelve genres, but those were the dreaded three. Luckily I pulled ‘Road Trip’ and I was thrilled. I called my producer on my cell. He was at his home with our DP, the prop and costume guy, and a PA. By the time I got to them we had a rough idea of what movie we were going to make. I sent them off to the prop store while I got busy on the script. I was sure I could have the draft done by the time they returned. But it actually took awhile longer. We sat together and discussed where I was going with the story. They had great input. We all agreed we wanted to blow everyone away with our version of a road trip. 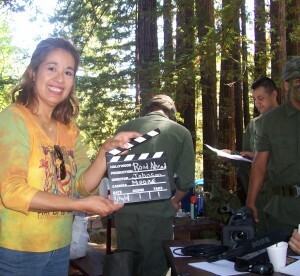 While the crew worked on the props, the producer called the cast and gave them all their instructions. Meanwhile I was still plugging away on the script. This entry was posted in short films and tagged genre, road trip, script, story. Bookmark the permalink.